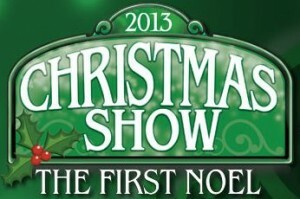 It’s definitely not too early to book your group for The 2013 Christmas Show: The First Noel. Last year, over 600 groups attended our Christmas Show, and we have alm ost 300 groups already scheduled to see our all-new Christmas Show this November and December. Why not make plans now to join us in this wonderful celebration of the season. …and make it part of your Christmas tradition! For more information, or to book your group for Christmas or any of our other upcoming shows, contact our knowledgeable, helpful Group Sales staff. Our website’s Group Pages are chock full of additional great info. Click here to read more!